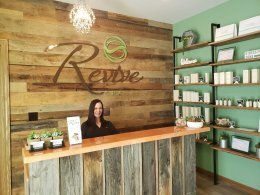 Revive Spa, located at 1020 East Main St, in Bradford, Pennsylvania provides a calming atmosphere to escape from the stresses of everyday life. 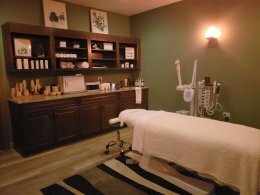 Their mission is to make guests feel relaxed, refreshed, and renewed after each visit. As you enter the spa you will notice the rustic decor with a touch of chic. Himalayan salt lamps illuminate each room providing guests with an instant boost in mood and energy. Modern features allow guests to personalize each experience. Guests have the option to choose the music they listen to with the Alexa Voice Service. Guests can even control the temperature of their bed and room. Online booking allows clients to book at their own convenience. Classic Facial, Acne Facial, Anti-aging Facial, Detox Body Wrap, Salt Scrub, Waxing, Swedish Massage, Deep Tissue Massage, Hot Stone Massage. Full List of Services.